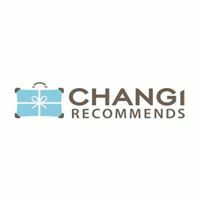 Subscribe to get deals from hundreds of merchants including the best of Changi Recommends! 25% off Changi Wifi Rental! Coupon Codes for Australia & Europe: 25NTUCP21. For China (non-VPN), Malaysia: 25NTUCP8. For Indonesia: 25WIFI8. For Japan, Taiwan, Hongkong, South Korea, Thailand & Vietnam: 25NTUCP5. Valid for ChangiWiFi bookings with a minimum of 4 days rental.. WIFI Routers for Australia, Europe and USA do not require a promo code as the discount has been factored in.. Travel by 31 May 2019.. Exclusive promotion for Plus! members.. Promotion is not valid for us together with other promo codes, e-cash vouchers, discounts or deals.. Applicable for single country and Europe package rental only.. Fair Use Policy applies to selected countries. This implementation by in-country’s local carrier is to prevent data abuse and network congestion.. Go to https://www.changirecommends.com/overseas_wifi_form.aspx?aid=NTUC to redeem the promotion right away. Please always check with the merchant on the validity of the promotion before purchase. Valid for ChangiWiFi bookings with a minimum of 4 days rental. Travel by 31 May 2019. Exclusive promotion for Plus! members. Applicable for single country and Europe package rental only. Fair Use Policy applies to selected countries. This implementation by in-country’s local carrier is to prevent data abuse and network congestion. Valid for travels by 31 Dec 2019. Promotion is valid for NTUC Members only. Applicable for online booking with credit card payment only at www.changiwifi.com. Enter promo code to enjoy the rent rates. Subject to routers’ availability for the specified destination. Present NTUC Card upon collection at any Changi Recommends counters located across all three terminals in Singapore Changi Airport. Free rental for the first day of collection. Rent rates are subject to change without prior notice. Other terms and conditions apply. Please always check with the merchant on the validity of the promotion before purchase. PROMO CODES. China: CITICN. Hong Kong: CITIHK. Indonesia: CITIID. Japan: CITIJP. Macau: CITIMO. Malaysia: CITIMY. Philippines: CITIPH. South Korea: CITISK. Taiwan: CITITW. Thailand: CITITH. Vietnam: CITIVN. Enter the respective country's promo code on the website, and make payment with Citi Credit Card to enjoy the offer. Offer Valid till: December 31, 2018. Offer is valid when payment is made using all Singapore-issued Citi Credit Cards.. The Citi Cardmember must enter the promo code on the 'Changi Recommends' website https://www.changirecommends.com/owifi.aspx to enjoy 10% off.. Final payment at Changi Recommends booth will have to be made using a Citi Credit Card used for the online booking.. Please present the Citi Credit Card used for online booking upon collection of the device for verification.. Promo codes are valid for reservation by 31 December 2018.. Promo codes have limited redemptions, while stock lasts only.. Promo codes cannot be used in conjunction with other promotions, discounts or vouchers.. Citibank's and Changi Travel Services' decision on all matters relating to the promotion will be determined at its reasonable discretion and is final and binding on all participants.. Citibank shall not be responsible for the quality, merchantability or the fitness for any purpose or any other aspect of the products and/or services provided by third parties and Citibank shall not at any time be responsible or held liable for any loss, injury, damage or harm suffered by or in connection with the products and/or services provided by third parties. All disputes about quality or performance of the product and/or services shall be resolved directly with Changi Travel Services.. In case of any disputes, Changi Travel Services Pte Ltd is entitled, in its absolute discretion, to make the final decision.. Changi Travel Services Pte Ltd will not be liable for any inconvenience, loss or damages arising from this dispute.. Citibank and Changi Travel Services reserve the right, at their reasonable discretion, to vary, add to or delete the promotion terms and/or terminate the promotion.. "Citibank" refers to Citibank Singapore Limited.. Please always check with the merchant on the validity of the promotion before purchase. 10% off selected tours and attractions in Korea, Japan, Hong Kong, Taiwan, Australia, UK and more.